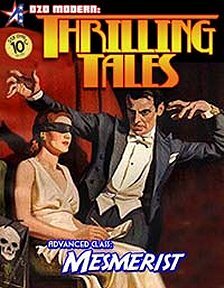 Another classic character type to grace your pulp action games. Publisher's blurb: "The mysterious mesmerist wields the power of the mystic to bring criminals to justice! This is the archetype embodied by classic pulp heroes like the Green Lama, Chandu the Magician and Don Diavolo, The Scarlet Wizard."